This is the Thrunite Th30 Headlamp , sent for my review from Thrunite. No other compensation other than me keeping the light in return for my review. 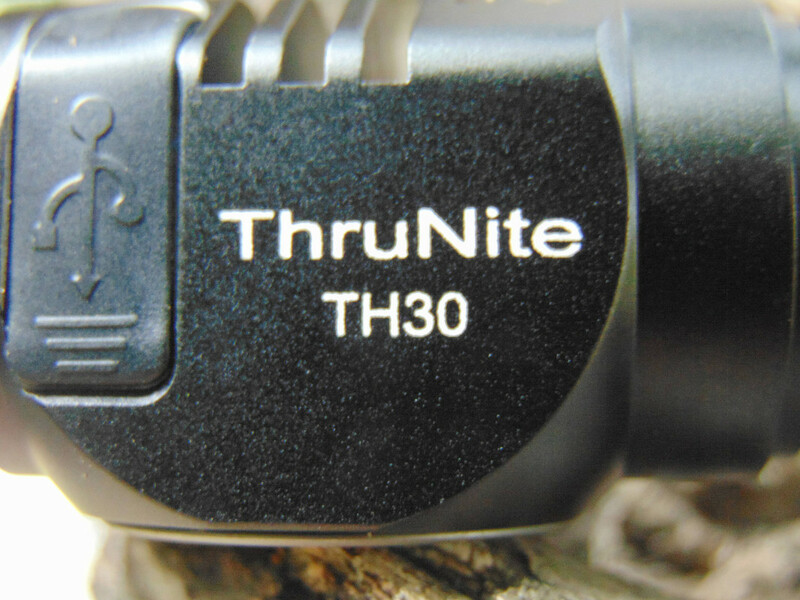 The TH30 is the newest headlamp/EDC from the Thrunite lineup. Everything came very well packaged , as I am used to seeing with the Thrunite products. The TH30 “package itself contains the light , 3100mAh Thrunite cell , a clip for EDC , an extra holder for the headband strap , the headband itself , USB charging cord , 2 extra o-rings , extra USB port cover , the instruction manual and thank you card. This is an 18650 powered light using a “boost” driver to power the XHP70.2 emitter. The reflector is an orange peel and the TH30 is claimed to be one of the most powerful headlamps out there right now , with listed output of 3350 lumens. There are some fins on the light (as much as space would allow) , the knurling is well done and the threads are well cut and very smooth. The TH30 is what I would call “average” size for the 18650 headlamp. 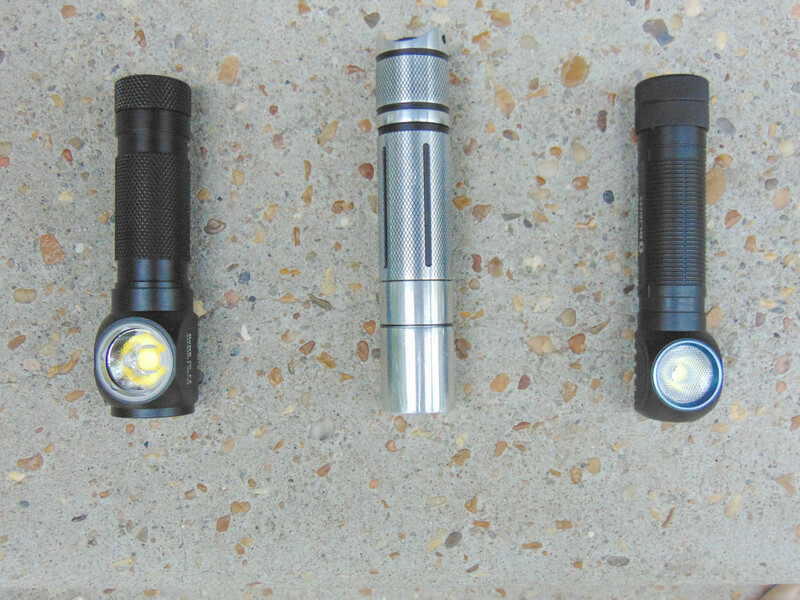 It is just a little smaller than the average “tube” light as shown pictured with the BLF A6 and the Olight H2R Nova. 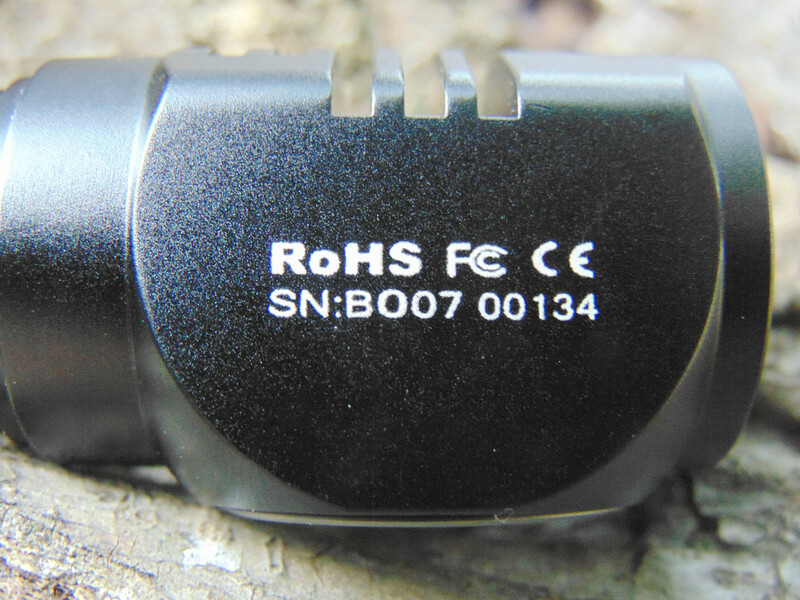 The “Branding” or etching is well done……. The Headband is pretty comfortable and stays put with the extra strap across the top of the head. The Clip easily makes this double as a good EDC light also. The power indicator light on the switch button doubles as a Low Voltage Indicator. When the light is powered on the button lights up in Blue and when the cell is getting depleted the switch light turns to Red , to let you know the cell is getting low. There is also another visual warning for Low Voltage , with that being , the LED will blink 3 times periodically to let you know the cell is at depletion. Once the cell reaches full depletion the LVP will simply turn the light off.This same indicator also shows Red when the TH30 is charging and it will turn blue when the cell is fully charged , when using the USB port , which is listed at 1.5 amps charging rate. The indicator light will also show Purple if the cell is reversed or other problems with the USB charging. There is mode memory for the last used mode from Low through High. A double click gets you to Turbo from any mode including off and a long press from off for the Firefly from the off postion. A simple click for off or to turn the light back on in the mode memory. The TH30 is as expected a very floody light with a very broad coverage area , but it does put out a huge amount of light over the area it covers. I have not had time to do Run Time testing due to an Aunt that has fell and broke her hip at 85 years old. Also a very good friend had to have his heart pump/LVAD replaced and undergo a major Hernia surgery all in one long surgery. I have tried to spread my time between those and multiple flashlight reviews lately , so my time has been kind of limited on the reviews. The TH30 DOES have the “Thermal Step Down” at 1.5 minutes , but I feel it may get overly hot running Turbo mode for a longer period in this small light to be honest. I tested the TH30 with the provided ThruNite cell , a Samsung 30Q , LG HE4 , LG HG2 and an Efest Purple High Drain 2800mAh. The Lumens were very close with all the cells due to the regulated driver , so I just did an average of all the cells to list in my charts. The amperage in the charts is from the included ThruNite cell only. My final thoughts on the TH30 headlamp……. It is a very well made light as with all my Thrunite products . with top notch build quality. 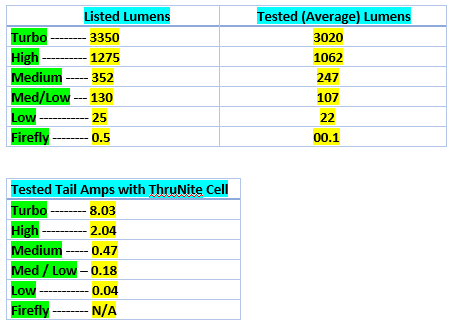 The particular sample I received does fall a little short of the listed specs on the output , but ThruNite was contacted about my sample and they ARE aware of it. I feel they will get any kinks ironed out very soon and hopefully before the full release. Overall I like this one pretty good and as I say , it does have the ThruNite quality. Even though my sample is a little under the rated lumens , it is still a very powerful headlamp with a massive wall of light when in Turbo and it is very easy to take off the headband and use as an EDC with well spaced modes , without being too bulky. If there is a particular photo in the GIF images you want to get a better look at , here is the link to all the still photos and GIF images of the light. For those who may want to see the live outdoor comparison with the Olight X7 (at the 3000 lumens setting) and the highly modded BLF X6 with MTG 2 running 2600 lumens on 2 × 16340 cells , that starts at 13:31 of the video timeline.